Detailed information and reviews of Alabama companies offering services to the businesses - marketing agencies, business consultants, importers & exporters and manufacturing companies. Post your requirements and receive no obligation price estimates and quotes. Storm Damage - Structural damage to my house for insurance claim. Need dwg consolidated - Needs a civil firm that is licensed in Louisiana to put together site plan, bench marks, and architects model into a single dwg. Social Security eServices - I am interested in unique advertising of the Social Security Administrations electronic services. I'm thinking billboard type. 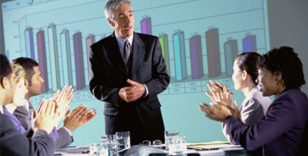 ASL Interpreter Services - ASL interpreter services for hearing-impaired employee. Must be able to accept payment via Government Credit Card. Korean Translator quote for trial - Our law firm needs to employ a Korean translator for a trial on February 1st. Please provide a price quote. Trailer setup - Jefferson co requires a percolation test to see where i can install my septic tank.